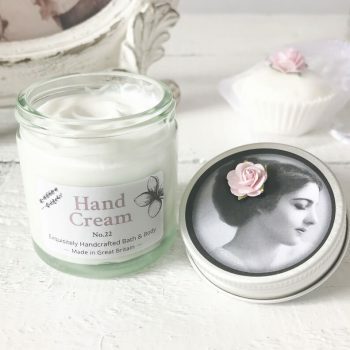 An adorable little jar of Hand Cream in our wonderful signature fragrance of citrus and fruit blossom blend, and adorned with a variety of pretty vintage images. Super concentrated but light in texture this little jar goes a long way. This water based hand cream is a non greasy blend and so soaks into your skin easily and doesn’t leave a residue. 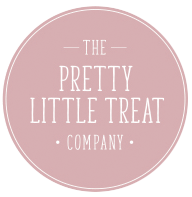 The sweet almond oil & beeswax moisturises and nourishes the skin leaving it beautifully soft and hydrated. Enhanced with vitamin E & packed with botanicals. This cute little pot is the perfect size to keep in your bag or in your desk drawer & makes an ideal holiday essential! Designs will be sent at random but please feel free to leave a note at checkout if you would like a specific design and we will do our best to accommodate. Simply my favourite product of all. Wonderful smell and absorbing in to the skin with no greasy feeling afterwards.